Leather chairs are elegant, comfortable and expensive. When the leather upholstery gets cracked, dry and brittle, however, don't toss your chair to the curb. Instead, remove the old covering and reupholster the chair with a new one to preserve it. After all, the frames for most leather chairs are sturdy--an important aspect in determining the chair's comfort, quality and lifespan. 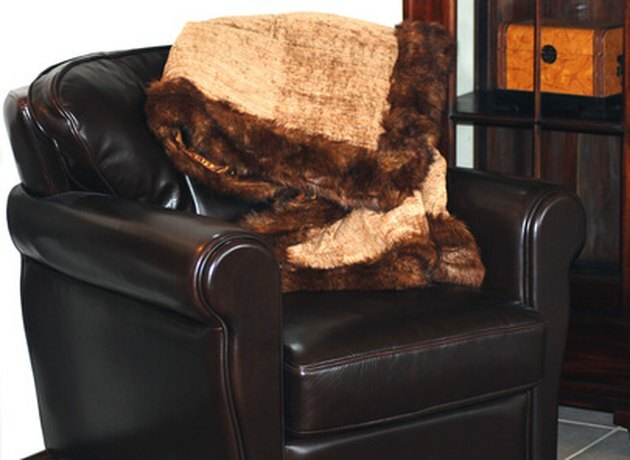 Leather chairs are a comfortable and elegant addition to any room. 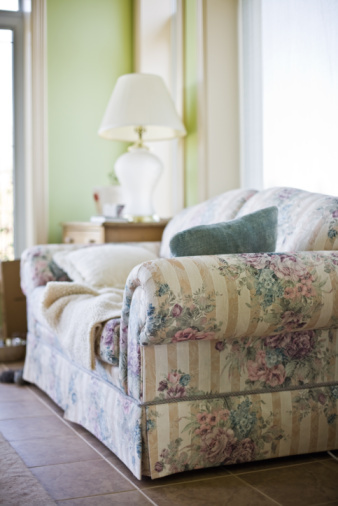 Remove existing upholstery by pulling out upholstery tacks and staples with a pair of needle-nose pliers. Gently pull back the covers from the chair, being careful not to rip the fabric as you will use it as a template for the new leather fabric. Take pictures while pulling off the fabrics and staples to use as a reference for where to position the new fabric and staples. Remove old batting from the cushions, arms and back of the chair. Pull out the upholstery tacks with the needle-nose pliers. Insert new batting into the cushions, arms and back of the chair. Use a rubber mallet to hammer in upholstery tacks to secure the batting. Lay the old fabric on top of the new fabric and cut around all sides of the old fabric, leaving 2 to 3 inches of overhang. Position the fabric on the back of the chair. Tuck all sides of the fabric into the frame until tight. Staple the fabric into the frame following the reference pictures from Step 1. Lay the fabric over the seat of the chair. Tuck the fabric underneath the seat until taut against the frame. Staple the fabric into place. Drape the fabric over the arms of the chair. Fold the back part of the fabric (the part closest to the chair's back) one-third of the way forward and cut a slit in the middle of the fold. Wrap the loose ends around the back of the arm to cover any exposed areas. Staple the fabric into place. Repeat on the other arm. Nikki Cash graduated from UCLA with a bachelor's in film/TV, where she won an MPAA Scholarship. Since graduating, she has written and produced an independent feature film starting her career as a writer in 2005. Cash enjoys writing eHow articles with topics ranging from home improvement to crafts.